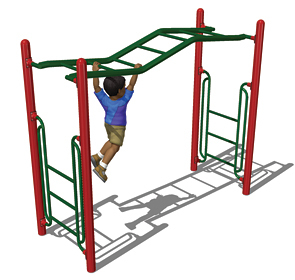 The wavy straight rung horizontal ladder is a great playground activity with an increased physical challenge over the more traditional style horizontal ladder. The shifts in slope develop greater demands on body control as well as increased focus on hand eye coordination. Designed with safety in mind this straight rung horizontal ladder promotes safe risk-taking and fosters confidence. 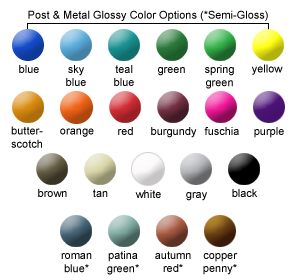 Heavy-Duty all steel construction provides a safe sturdy structure while the powder-coat finish provides many years of corrosion free enjoyment. ASTM Use Zone Safe: 16'-4" x 22'-4"